We are excited to share the ColoradoKids.com Kids Deals group buying program with you. This new opportunity allows parents to purchase highly discounted vouchers for local activities and attractions. We are launching this program TODAY with a 67% OFF offer for a 5 Day Open Play Pass from Little Monkey Bizness of Lone Tree. We have several other businesses scheduled for future offers including My Art Workshop, Denver Firefighters Museum, Heritage Square and more! I would like to ask you to help us get the word out and give you a $25 Gift Card to Boondocks for your help. Please email/tweet/post the below link to all your fans, followers and email list. Also please post it on your Facebook page and/or Blog. We will soon begin to run several promotions simultaneously so, even it Little Monkey Bizness is not for them, there will be more great deals for parents to enjoy and we want them to sign up to receive future deals. 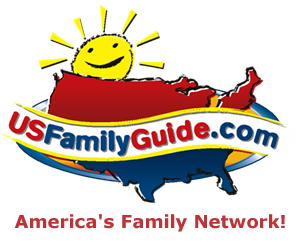 Our intention is to expand this program throughout the entire US Family Guide network and as we grow we will be looking for people within our network to get more involved and share in the success. Also email any questions or other ideas on how we can get the word out and/or if you would like to get more involved. Below is the link and suggested text.